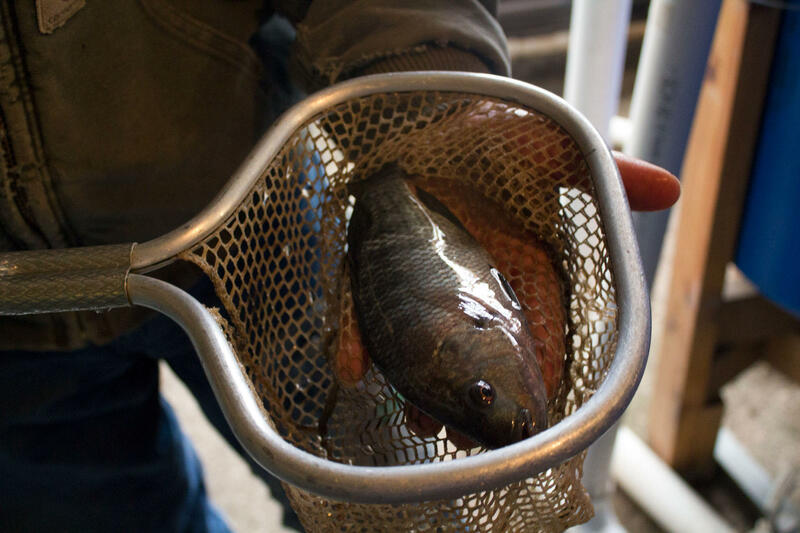 Iowa hydroponic farmer Jeff Hafner uses water from tanks of tilapia to boost his crops with beneficial bacteria. While he does market his fish, they aren't the focus of his operation. No matter how far fruits or vegetables travel, whether they’re grown organically or conventionally, they’re packed with vitamins, minerals and other necessary nutrients. The men and women in the fields try to grow foods with an eye to boosting the health factor, but researchers say it’s hard to measure the precise impact. Consider the orange, a fruit high in vitamin C, which boosts the body’s immune system. 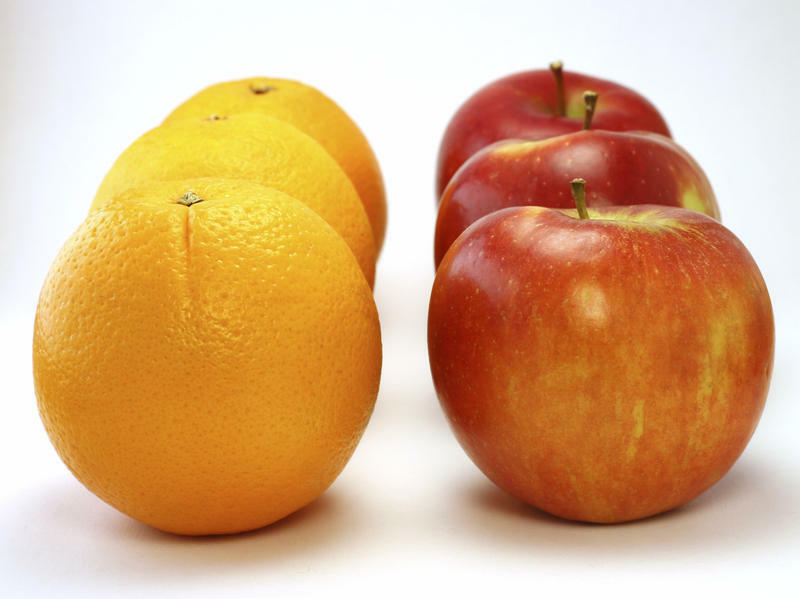 One from a tree in Florida and another of the same variety grown in California won’t have identical values of the scurvy-fighting vitamin. “There's going to be slight differences in the amount of vitamin C by the cultivar, the type of fruit that it is, where it's grown, how long it's been on the store shelves,” Iowa State University food science and human nutrition professor Ruth MacDonald says. 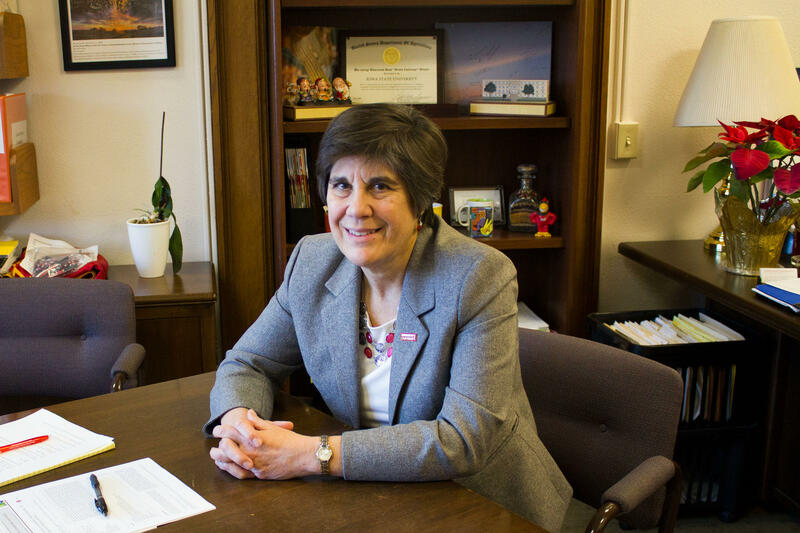 Iowa State food science and human nutrition professor Ruth MacDonald says looking at people's weekly diets, not the nutritional content of one particular food, is how a nutritionist evaluates whether people are getting what they need. It’s also really hard to make comparisons because there are so many variables on a farm and not a lot of public or private research money available to study nutritional variation among varieties. Plant breeders and farmers tend to look at growing foods with specific qualities in mind. “They usually check for acidity, sugar content, soluble solids, lycopene,” North Carolina State University extension horticulture specialist Chris Gunter says. But neither farmers nor consumers will pick something like a tomato for its lycopene — an antioxidant that gives tomatoes their red color, and is thought to have health benefits — alone. Farmers will pick varieties they expect will grow well in their soil, with their climate conditions and their preferred fertilizers or pesticides. But there’s the customer to keep in mind, too, who might want a soft or bright red or juicy tomato or one with lower acidity. “People are very interested in, does the whole fruit, consumption of this fruit, impact my health as a consumer?” Gunter says. 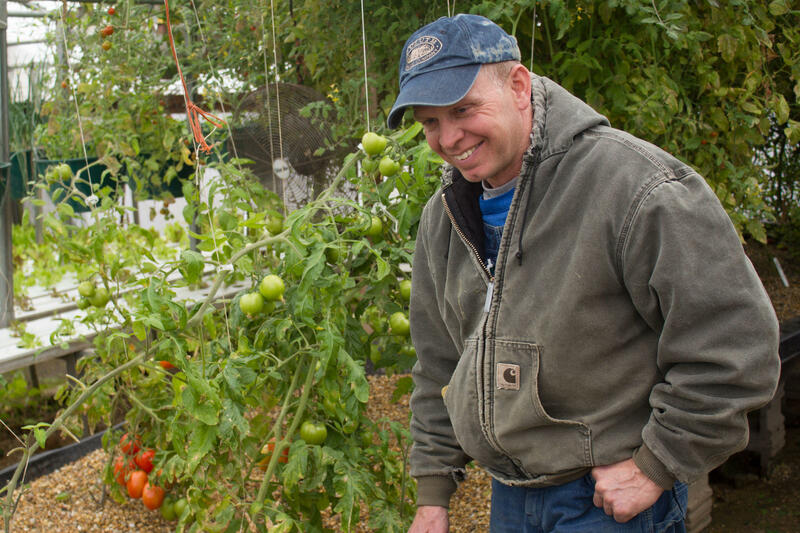 Jeff Hafner grows tomatoes, lettuce and other types of produce year-round in his aquaponics greenhouse in Iowa, though he has to adjust the varieties as the indoor temperature and humidity change. It’s a balance Jeff Hafner strives to achieve. He and his family run Early Morning Harvest, a diverse farm in Panora, Iowa. Those vegetables will contribute nutrients to the eggs they lay; Hafner says every aspect of the farm nurtures another. 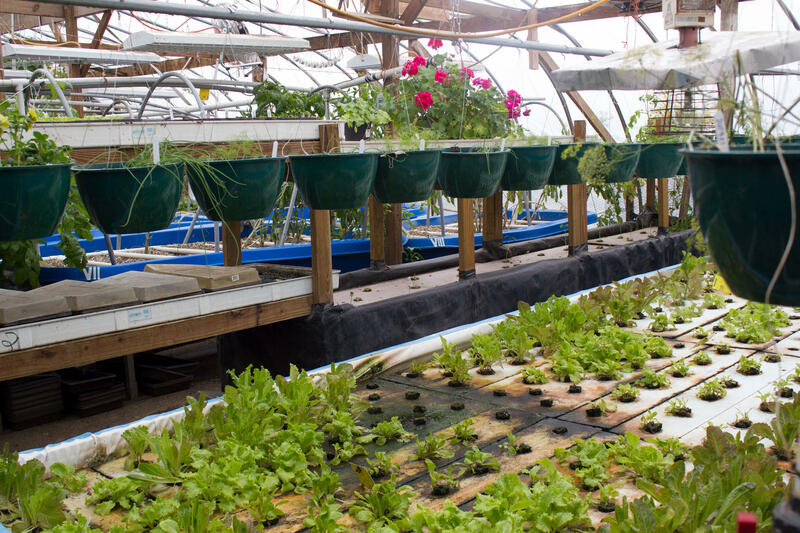 His produce grows in an aquaponics greenhouse, where tanks of tilapia create water that’s rich with beneficial bacteria. He uses the water for his kale, lettuce, tomatoes and cucumbers in a process he’s had to figure out over time. In general, he tries to be transparent about how he grows the food and lets consumers decide whether it meets their needs. February is a particularly warm and humid time in Jeff Hafner's greenhouse, so he selects lettuces that can withstand the conditions. As important as farming practices can be, MacDonald says they’re not the most efficient way to increase a food’s healthfulness. That is best done in a lab or at a processing center, where iron is added back into flour and milk is fortified with vitamin D.
The USDA keeps two databases to help people understand where the nutrients are in their food: The National Nutrient Database lists the nutritional traits of a wide variety of foods, including fresh vegetables and specific brands of packaged foods. A separate database, the Nutrient Content of the U.S. Food Supply, compares which foods have provided Americans with which nutrients historically (Spoiler alert: We’re eating more fat and protein). The takeaway? Don’t skip the fruits and veggies, just eat a variety to get the best possible array of their benefits. Leave it to the folks at Reddit to uncover the hidden treasures of the Internet. Recently, they were gabbing about Google's nutrition comparison tool, which was quietly launched at the end of 2013 and escaped us here at The Salt. When orchardist Eliza Greenman walks through a field of apple trees and gazes upon a pocked array of blemished and buckled fruits — scarred from fighting fungus, heat and pests — she feels a little thrill of joy. "I'm absolutely infatuated with the idea of stress in an orchard," says Greenman, who custom grafts and grows pesticide-free hard cider apples in Hamilton, Va. 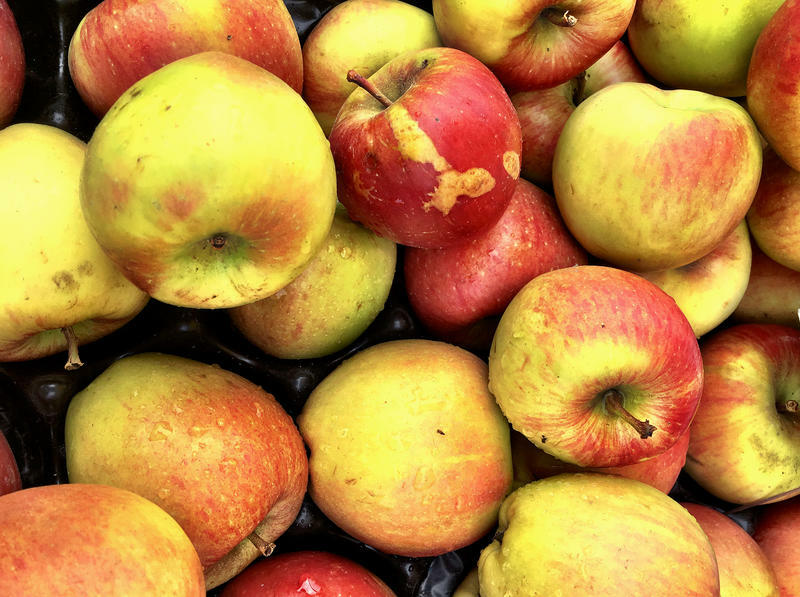 These forlorn, scabbed apples, says Greenman, may actually be sweeter.